We are delighted to be hosting this event which is a Weightlifting Ireland National event. Athletes will have their last opportunity to qualify for European Juniors & Under 23 years. This will be a great event in a fun friendly environment. All levels of lifters are welcome. 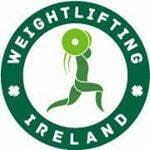 Lifting Fees €20 payment process to be finalised by Weightlifting Ireland.